We appreciate having you, and your friends as our website guests! 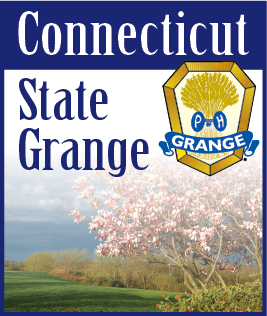 Tell your friends about where they can find out what's happening with the Connecticut State Grange. Just complete the form and click the 'submit' button, and we'll send them an e-mail invitation to visit our website. PRIVACY NOTE: Any information you submit will not be sold or used for any purpose other than notifying you about The Connecticut State Grange.